Just the right kind of funk to take us through the season. 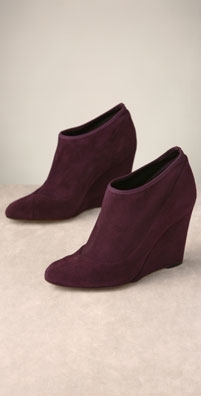 Suede wedge boot with pointed toe and seam detail throughout. 4" covered heel. Leather sole. 6" tall. Dust bag included. Made in Italy.